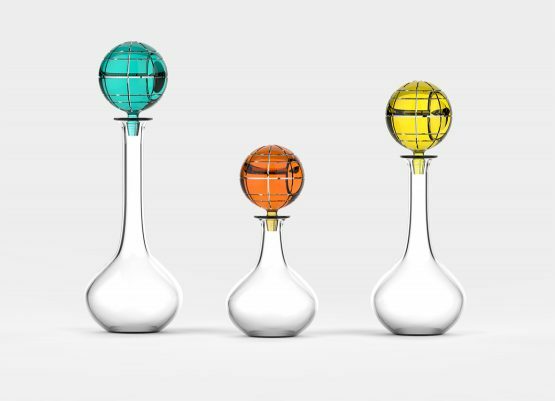 The Air Balloons is a collection of stoppers inspired by the idea of travelling in a hot air balloon. This project captures the beauty of colourful objects flying in the air. 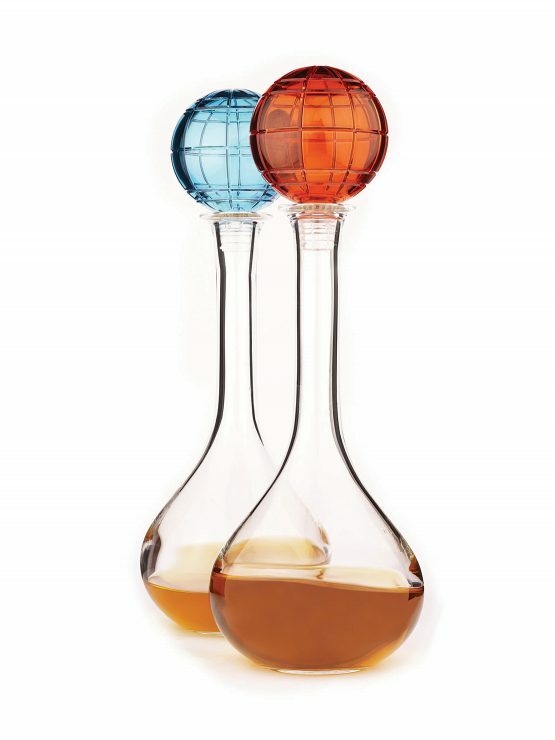 The stopper in the Baccarat Pavot carafe depicts a hot air balloon that naturally floats in the sky.The carafes pictured were made in crystal by Baccarat.